We Make St. Louis Living Easy! Enter your email address below to have one of our representatives contact you. Welcome to St. Louis Corporate Housing! 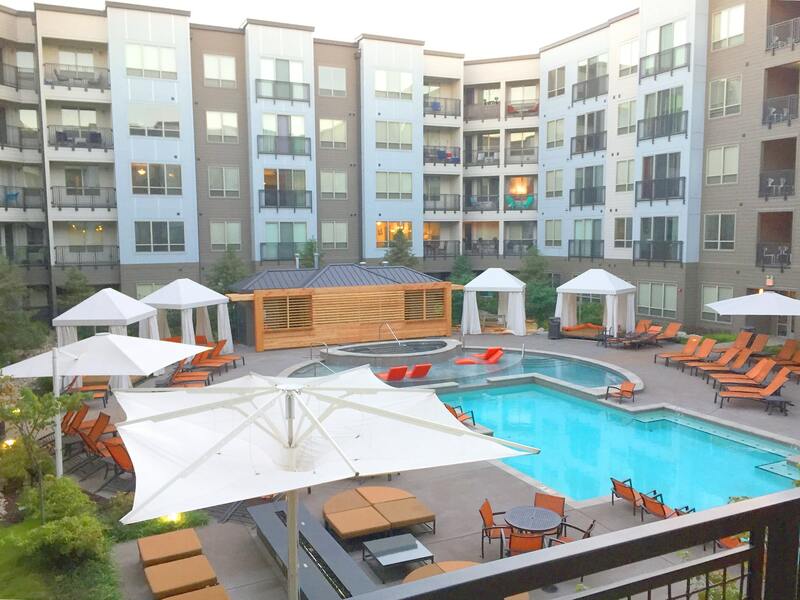 St. Louis Corporate Housing is the premier corporate housing provider for fully furnished apartments and long or short-term housing in the St. Louis Area. We provide fully furnished apartments to those that need something more roomy, more comfortable and cheaper than what you can get from a hotel. We offer only the best corporate housing St. Louis accomodation seekers can trust. ALL of our representatives are NATIVE St. Louisans, born and raised. We know the St. Louis area better than anyone - and not just for the best housing and the best locations, but we'll help you become familiar with the best restaurants, places to shop, places to go, and just the overall best experience - because our quality and customer service are second to none!. All our furnished executive apartments are custom designed to meet the needs of Corporate VIPs, Government employees, and those requiring temporary housing during remodeling or relocating. All bills are included in the price and all rental units come with high-speed internet, digital cable, a flat screen TV, all your standard house wares, and a full-size washer and dryer. Whether you are traveling for business, government related travel, in the middle of a relocation, or in need of insurance related, short or long-term housing, St. Louis Corporate Housing has the premier alternative to the 300-400 square foot extended stay hotel. Our extended stay housing options are far more comfortable - - and rent at rates that are much less. In addition we handle the management of setting up the furniture, house wares, utilities, cable, internet, front all the deposits, managing the maintenance, and the monthly bills. This leaves you the time you need to take care of your personal business and reduces your bills down to one. With our flexible payment options, St. Louis Corporate Housing has the best fully furnished accommodations in the greater St. Louis, St. Charles, Maryland Heights, Wentzville, Chesterfield, U-City, Central West End, South County, West County, Clayton, and Southern Illinois, markets. Feel free to call us (314.200.4350) about the best corporate housing St. Louis offers in any of these locations. St. Louis Corporate Housing provides superior accommodations beyond - A Class - for anyone who requires the finest amenities available. We offer premier residences in the most exclusive parts of town, with the best furnishings and accoutrements in the St. Louis area. 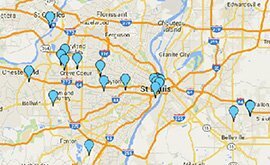 Our multiple locations also provide you with the optimal St. Louis commute to your destination. We believe customer satisfaction is of the utmost importance. We treat our customers as our friend and not just our client. We believe that this has played a large part in over 30% of our new business coming from referrals. Sign-up now and experience the difference. Are you coming to St. Louis on business? Does your construction crew need somewhere to stay? Visiting family for a while and don’t want to wear out your welcome? Or, are you In between houses or displaced for some reason? Maybe you need a place to stay while visiting some of the area’s 30 plus institutes of higher learning. Providing corporate housing St. Louis area travelers can trust, with photos to back it up, we're here to take care of your temporary housing and extended stay needs. 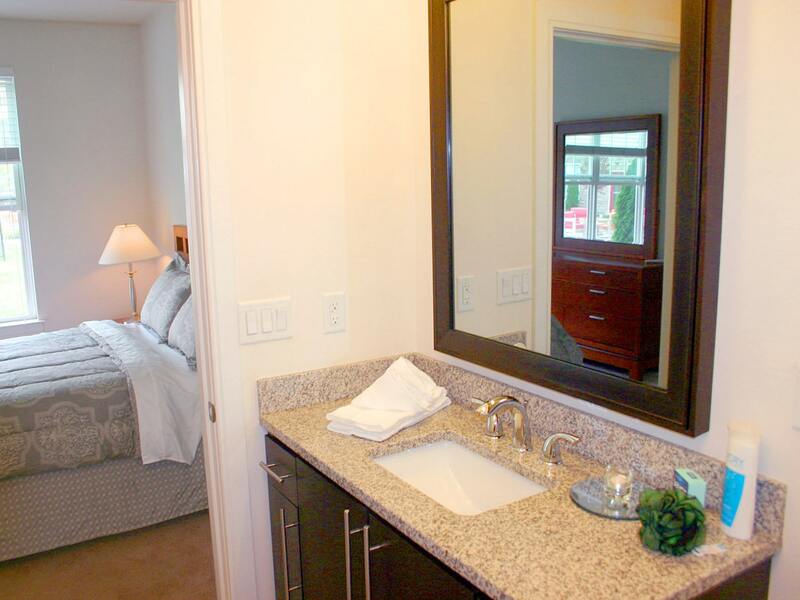 All of the comforts of home, without all the hassle, are provided for you here! Whether you fly in or drive, or perhaps ride a bus, you will need a place to stay in town when you arrive, but it is just so inconvenient to stay in a hotel for any longer than a few nights. 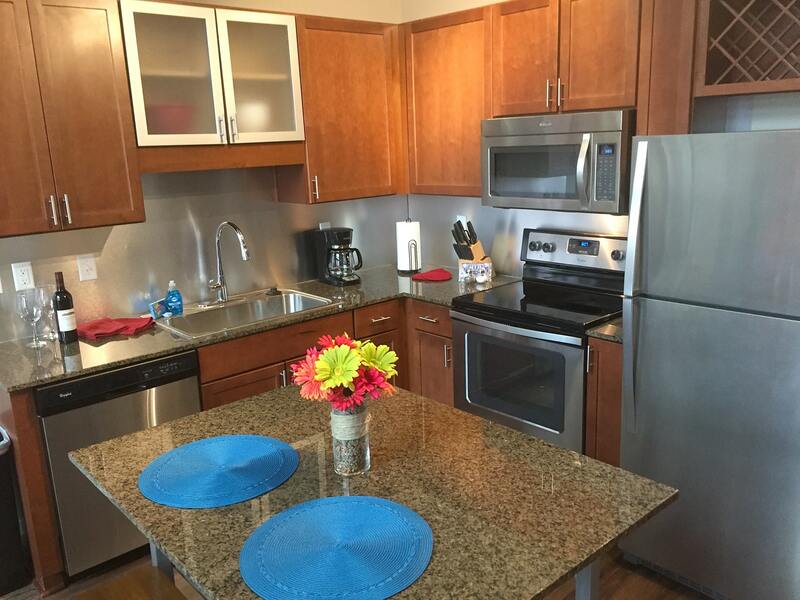 We pride ourselves in providing corporate housing St. Louis can depend on, where you get all the comforts of home, such as a living room, full kitchen and dining area, and separate bedroom, as if you’re in your own home…without having to concern yourself with utility or maintenance bills. You have dedicated space to entertain, meet with other employees or bosses, or relax in front of the flat-screen television in your very own residence. All St. Louis Corporate Housing employees are locally born and raised, so we are all very familiar with the area and we won’t steer you in the wrong direction! We can direct you to local community events, give you directions, tell you the best places to eat, and help you find the freshest groceries to keep in your refrigerator. With convenient locations in the Central West End of the St. Louis Metropolitan area, all of the city is at your fingertips, no more than a short trip from your apartment that is well-equipped to suit your taste and meet all your needs. One, two, and three bedroom models are available, so go ahead: invite those grandkids or friends to stay over! Your apartment here will feel comfortable and the staff are friendly, so please, make yourself at home. All utilities are included—water/sewer, electric, gas, high-speed internet, and each unit comes with either a washer & dryer*. We also offer housekeeping services (for an additional fee) to keep it clean so you do not have to think about it. Relax as we take care of all the cleaning for you. (*Most units, some on-site). All units, whether smoking/ nonsmoking, are fully furnished and tastefully decorated, with central heat and air conditioning. Most of the units allow pets, so you can make yours feel homey and lived in because you live there, not because of a constantly changing guest list. Let our well managed corporate housing St. Louis area visitors trust be your home away from home while you visit our city, and your centrally located home-base to explore the surrounding area. The Greater St. Louis Metropolitan Area is the home to over 30 colleges and universities, and one of our corporate apartments would make a spectacular jumping-off point for your college exploration. Visit St. Louis University, known for its speech and communication program, or Washington University, or the University of Missouri’s St. Louis campus, among others, perhaps renting one of our corporate apartments for the semester! While you are visiting St. Louis, be sure to also visit Cahokia Mounds State Historic Site, and experience a bit of history at the site of the largest city in America (prior to the arrival of Columbus). This UNESCO World Heritage Site, located a short distance off Interstates 55 and 70, in nearby Collinsville, Illinois, boasts the preserved remainder of at least 68 earthen mounds from a city that once was home to as many as 100,000 people and an estimated total of 120 mounds. Cahokia, a name given to the city by the first French explorers in the area during the late 1600s, is the name of a different tribe who lived close by, and what we know about its original inhabitants has been garnered through archaeological research; stop by to learn about this past civilization and share your theory of what became of the tribe after its decline, around the year 1200. Make sure you go to Saint Louis’s Forest Park, one of 15 city parks. Originally opened in 1876, it was the location of the 1904 World’s Fair and consists of over one thousand acres, making it one of the largest city parks in the United States. It is home to 11 city businesses and organizations, including a restaurant, a golf course, and an ice skating rink, along with the St. Louis Zoo, one of the highest-rated zoos in the country. 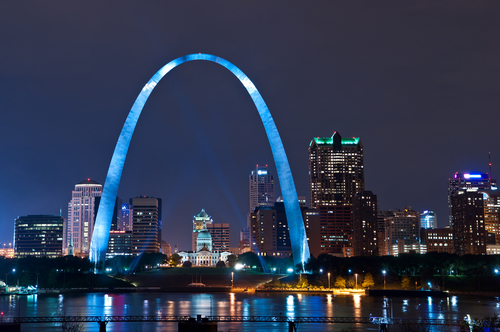 Here, you also will find the Missouri History Museum and the St. Louis Science Center. Both the Zoo and nearby St. Louis Botanical Gardens are dedicated to the conservation of animals and plants around the world. The Botanical Gardens also exhibit a plethora of plant species, and even some animals. In addition to flora and fauna, St. Louis Botanical Gardens are home to both permanent and rotating sculptures, and a holiday light display. You will find Forest Park and St. Louis Botanical Gardens easily accessible throughout the metro area. You need not worry if there are places to shop within a reasonable distance of your short-term accommodations, for your options are many. With many addresses to choose from, you’re sure to be near a supermarket and other retail establishments. We offer short and long term temporary apartments in some of the most popular neighborhoods in and around St. Louis and Southern Illinois, and we want you to feel right at home, here. We hope you will be comfortable living in your apartment, that it seems homey, like it is lived in, but not like you are living in somebody else’s house. If your corporate housing stay includes children, we have residences with access to playgrounds and pools, and St. Louis offers numerous events and activities catering to children’s recreational and socialization needs. Just to name a few: two children are chosen each weekend day to be Junior Zookeepers at the St. Louis Zoo, which is free to everyone; haunted hayrides at surrounding pumpkin patches abound in the fall; and there are petting zoos of common farm animals at many of the various festivals occurring seasonally in and around the city. We have fitness facilities for you on-site, but if you are seeking something more leisurely, St. Louis invites you to join in the many events and activities to meet your recreational and mental well-being needs. The city offers many adult-centered activities, like attending an adults-only festival such as the Budweiser Taste of Saint Louis; or a performance at the Muny. This Forest Park outdoor theater is the country’s biggest, and Missouri’s only, professional outdoor theater venue. One seasonal feature to help you fully enjoy St. Louis is our farmers’ market, which you will not want to miss out on; open seasonally on weekends, this market features local produce, meat, and other consumables. What’s that? Sports, you say? You want sporting events? Well, St. Louis just happens to be home to three professional sports teams in national leagues, so if baseball, football, and hockey, are your thing, you are guaranteed to be in close proximity to at least one stadium. At Busch Stadium, you can catch the Cardinals hitting it out of the park April through October, while hockey season sees the Blues at Scottrade Center from September through April. Just don't mention the St. Louis - er, LA Rams! If, after you have done all that your heart desires to do in St. Louis, Missouri and its surrounding areas, you still have energy left and want to catch up on your favorite television shows on your flat screen HD tv, your apartment provided by us, a corporate housing St. Louis specialist you can trust has cable to keep you up to date on your shows and everything you might have missed while you were out and about! It is included in the total you pay…one reasonable bill for your temporary, extended stay. We are a favorite among government and military employees and contractors, due to our convenient…everything! With lots of locations throughout the greater St. Louis metro area: University City, The Central West End, Webster, Kirkwood, Maryland Heights, Creve Couer, St. Charles, West County (Ballwin, Manchester), Chesterfield, Clayton, O'Fallon (Missouri), Lake St. Louis, Cottleville, St. Peters, South County (Arnold, Fenton) and Southern Illinois (Edwardsville, Fairview Heights, Swansea, Columbia, Belleville, Collinsville, O'Fallon IL); amenities (water/electric/cable tv/maid service/dry cleaning and more); price; quality of accommodation; and no daily maintenance to think about, we hope you will consider St. Louis Corporate Housing for all your short term furnished housing needs in St. Louis, MO. The corporate housing St. Louis trusts has no superiors and is, simply, the best in town! St. Louis Corporate Housing Clients - We Can Help.